problems like canine hip dysplasia. the reduction of oxidative damage with the hope for a more youthful joint with a greater range of motion and flexibility. It also contains powerful antioxidants used to help fight the effects of aging on dogs. Flavocin is backed by hundreds of research studies that support the healing properties of its all-natural ingredients. Clinical tests show that the daily consumption of the key ingredients in Flavocin not only can provide powerful relief from the symptoms of arthritis in dogs … but they also may help protect against disease and the effects of aging. In 1987, Dr. Shinji Uchida and his team of researchers demonstrated that the antioxidant bioflavanols found in Flavocin were up to 50 times more effective than vitamin E as a free radical scavenger. Research also suggests that ingredients found in Flavocin can increase the total antioxidant capacity and stimulate defenses in blood. But it gets even better. It is believed that the most dangerous free-radical produced by your dog’s body as it gets older is called the hydroxyl radical. It is so damaging because it directly attacks DNA—the building block of all cells. 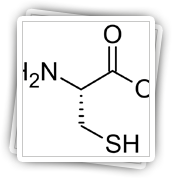 Research demonstrates that ingredients in Flavocin may “search and destroy” this dangerous hydroxyl free-radical. Still another report found evidence that Bioflavanol may be effective in fighting canine hip dysplasia. In a double-blind, placebo controlled, 14-week clinical evaluation, 85.7% of dogs given Bioflavanol showed improvement in joint function and relief of joint pain. Flavocin is powerful blend of micronutrients shown to effectively fight joint problems AND oxidative stress in the bodies of aging animals. Currently being hailed as the most potent, natural antioxidant compound ever discovered by science, this active ingredient in Flavocin has been awarded United States Patent 4,963,527. Bioflavonoids work in sync with vitamin C to preserve and protect capillaries, promote circulation, lower cholesterol levels, and prevent allergic reactions in your dog. Glucosamine is a building block for cartilage that is formed when glucose combines with an amino acid.Glucosamine supplementation helps your dog’s body manufacture collagen and proteoglycans, which are essential for rebuilding joints. 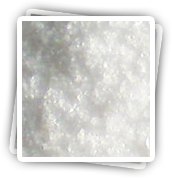 Chondroitin Sulfate is necessary in the production of cartilage. Proteoglycans, a vital component of cartilage tissue, is produced by Chondroitin. Vitamin C helps maintain and build collagen—the structural fibers found in your dog’s cartilage--and is essential for healthy bones as well as healthy joints. Zinc is an antioxidant involved in the healing process and is involved in the synthesis of your dog’s bone tissue, healthy skin, and disease resistance. Cysteine is derived from three different amino acids and is a potent antioxidant that works synergistically with glutathione in the liver to detoxify waste from your dog’s metabolism. 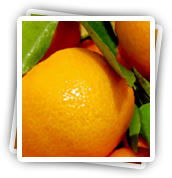 Along with Vitamin C it works to stimulate joint tissue and strong bones in your dog. Calcium is essential to the proper development of bones and teeth, and is involved in numerous enzymatic reactions which produce energy. Remember … Flavocin has been carefully formulated to contain the most beneficial amounts of each of these ingredients so you don’t have to worry about your dog getting too much or too little of any of the above. Instead, you can rest easy knowing your dog is getting optimal amounts of the nutrients it needs to feel its best. Estimates Say 1 Out of 4 Dogs Will Get Arthritis in Their Lifetime! If your dog is suffering from arthritis or other types of joint problems, you are not alone. It is estimated that 1 out of every 4 dogs will suffer from the symptoms of arthritis by the time they reach middle age … and for most dogs that’s about 5 years of age. That means over 16 million dogs in the U.S. are in misery right now. isn’t what it used to be. content to just rest … rather than play. The “old way” of thinking was that these were simply signs of “normal aging”… along with the belief that nothing could be done. 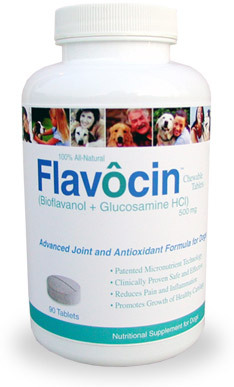 But now Flavocin—the all-natural breakthrough joint formula—offers new hope for aging dogs with arthritis. 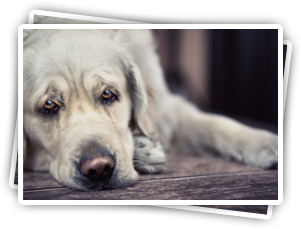 Don’t Let Your Dog Suffer Any Longer, Order Flavocin& See the Difference for Yourself! regain its flexibility, mobility and “zest” for life! playful and energetic and fun to be around. 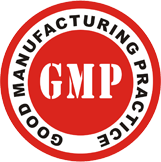 Flavocin is manufactured in the United States to FDA Good Manufacturing Practices (GMP) standards. Yes! 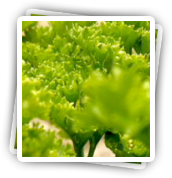 Its micronutrients have been tested in well-controlled clinical studies and it contains only compounds extracted from natural sources. It is not a pharmaceutical or prescription drug. Flavocin has been used by thousands of dogs for over nine years with no side effects and no negative interactions with prescription medications. 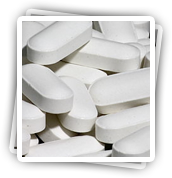 Flavocin is manufactured in US laboratories under strict FDA GMP (Good Manufacturing Practices Guidelines (GMP). All ingredients are 100% natural and carefully sourced for the highest quality. 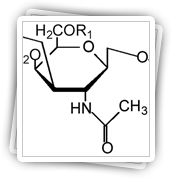 Flavocin is made by ProPet Sciences, LLC. The makers of Flavocin have invested in research and clinical studies to validate the products and actively document the visible benefits animals receive when taking them. Because we purchase the finest raw materials available… your dog is getting the absolute best product there is. All incoming raw materials are accompanied with a Certificate of Analysis that certifies the content of the ingredient and its purity. The raw material is then tested to ensure the Certificate of Analysis is correct and the product content has not changed since the course of the original test. Once the materials are blended, they are tested again to ensure compliance with the label claim before tableting the product. At this stage, any variances may be adjusted. The product is tested one final time as a finished product, again to ensure the ingredients meet the label claims. What are the ingredients in Flavocin? 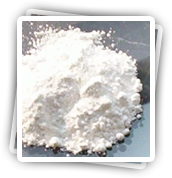 Researchers have carefully formulated Flavocin to be easily ingested by your dog. Once inside the body, Flavocin’s ingredients immediately go to work to provide your dog with maximum joint support relief as well as foster improved flexibility and increased mobility. My dog's old. He's also big. Not fat, but big. He's a rotty. We've been giving him this for a few years, and it looks to us like it's working. He likes the taste, he's excited to chew it up, and he seems to be maintaining that 12-year old dog youthfulness. The doctor's all said my Boxer (Lola) would need surgury for her ACL/Arthritis issues. After 4-6 weeks on Flavocin she was running around like she was a puppy! This worked SO fast I saw improvements immediately! The change and improvements were almost a miracle- actually it was a miracle how her legs, pain and attitude changed after being on Flavocin. I cannot stress how much this helped her when all others failed. I have been giving Flavocin to my 11 year old arthritic lab for a month, and already see an improvement in her attitude and activity level! She runs with the younger dogs lots more! This is a wonderful product! I like that I can give her something that will improve the quality of her life without resorting to steroids or pain pills. It's worth the investment. MY LITTLE SHELTIE WAS SUFFERING FROM DIAGNOSED JOINT PAIN THAT WAS SO SEVERE THAT SHE COULD NO LONGER JUMP UP ON THE SOFA OR THE BED OR RUN AND PLAY IN THE BACK YARD. AFTER ABOUT 90 DAYS ON FLAVOCIN SHE WAS BACK TO HER OLD SELF IN REGARD TO WHAT SHE COULD DO. I THEN PUT MY OTHER THREE DOGS ON FLAVOCIN AND HAVE CONTINUED IT EVER SINCE. THE TWO AMERICAN ESKIMOS ARE NOW 13 AND THE SHELTIE AND CHOW/SHEPHERD ARE 11 AND NONE OF THEM HAVE ANY PROBLEMS WITH THEIR JOINTS. I THINK THE ANTIOXIDANTS IN FLAVOCIN HAVE REALLY BEEN HELPFUL TO THEM ALSO. Flavocin has been a real lifesaver for our dog, literally! He was so crabby and was biting whenever the kids would accidentally step on his paws or bump into him. Even on a daily basis we could tell something was not right. We were at the point of having to consider putting him down at the age of only 11. After starting Flavocin on the recommendation of a canine behaviorist in our area, he's like a new dog. He no longer hobbles around or has trouble jumping up and down from the car. His overall demeanor has markedly improved. We had made some other changes as well, switching his food for one, but for a short period we ran out of Flavocin and could see the symptoms return almost immediately. Thanks again for offering this product reliably and quickly. To prove it, Flavocin is backed by an iron-clad, no-questions asked, 60-Day 100% satisfaction guarantee. If you don’t see the results I promised… or even if you just change your mind… just return any unused portions… or even the empty bottle… within 60 days and I will personally send you a refund for 100% of the purchase price (less shipping and handling) That’s right! … Flavocin is guaranteed to work for your dog or you don’t pay for it. Writing Your Own Success Story!